Goff’s Offers Rolls of Strip Door Material, 14 oz Vinyl, 18 oz Vinyl, 11 oz Mesh, and 14 mil weldview rolls! Please contact one of our product specialists for pricing! Available in strips 4″ – 48″ wide, .060″- .250″ thick, and up to 300′ in length. 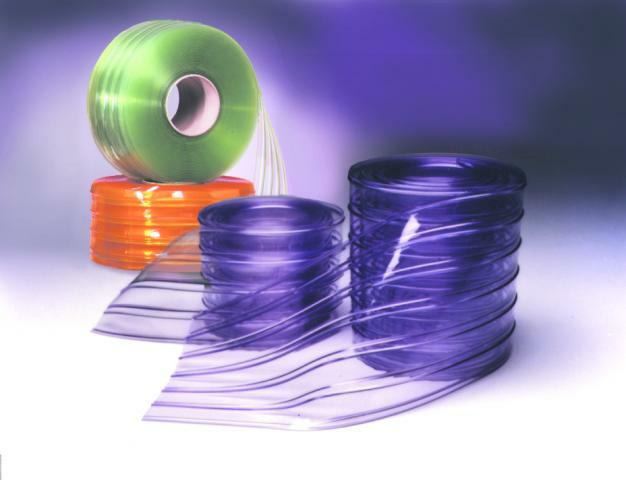 Available in clear, weldview material, USDA grade, ribbed, & opaque colors. Colors: Black, Gray, White, Blue, Red, Yellow, Beige, Orange, Purple, Field Green, Forest Green, & Maroon. Available in 54″ h x 60 yard rolls. Colors Available: Black, Grey, Almond, Royal Blue, Spruce Green, Red & Yellow.